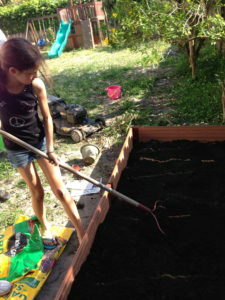 Disclaimer: Los Tweens was provided by Lowe’s Home Improvement Store with the materials needed to develop the garden. All opinions expressed are our own. I always wanted to start a vegetable garden with the kids. I started composting. I planned the location. But I never did it. I had my reasons. I’m starting two companies. I have a blog to write. I have three kids. I have multiple volunteer positions. I need to scrub bathrooms. As a tween parent, I am sure you have a similar list of excuse – I mean reasons. When Lowe’s gave us the opportunity to develop a creative household project with the tweens, I automatically said “garden”. Obviously, I had one of those parenting moments of amnesia or “mami brain” – as I like to call it. You know the moments when you forget to say no, agree to fry dough at the kids’ school carnival and end up smelling like elephant ears for a month. Yes, one of those moments. My husband thought I had lost my mind when I dragged him and the entire family to Lowes to pick out the items we needed. He thought he’d grab a few pots, dirt and seeds and be on his way home to watch whatever sports game was on TV. So he wasn’t thrilled when I greeted him with 12 bags of soil. Thankfully, a few friendly and burly Lowe’s employees helped him load the back of the van or else I think this could of ended in divorce. The tweens had to get in on the action and I let them loose on the vegetable seeds. 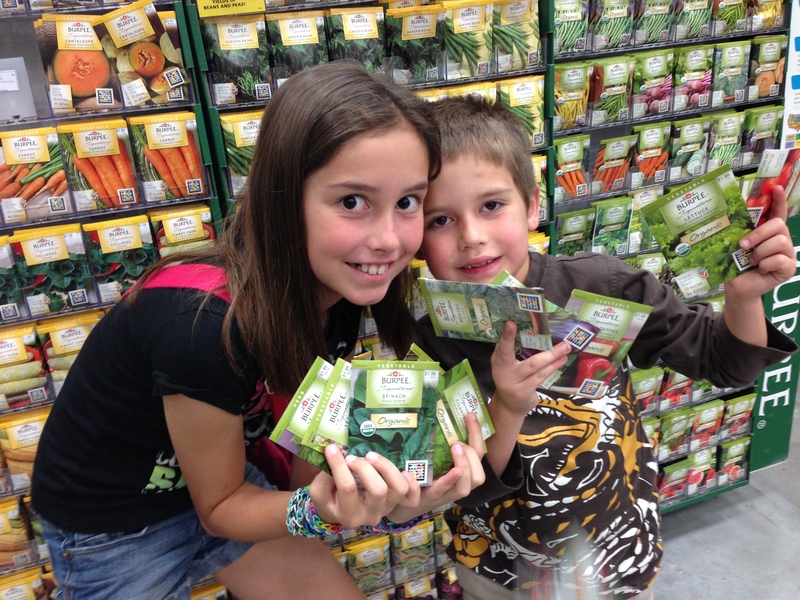 Lowe’s has a huge variety of seed packets for all types of vegetables, fruits, herbs and flowers. Many of which I hadn’t seen at other home improvement stores. The kids picked: carrots, tomatoes, onions, lettuce, spinach, green peppers, eggplant, cucumbers and green beans – oh yes this was no small garden we had planned. I set aside an entire Saturday for set-up. I prepped la familia on exactly what they were in for explaining that this was going to take a LOOOONNNNGGG time. They were probably going to be mad at me for making them take on this project and how much work I was going to make them do. After three hours of clearing out a spot, building our garden fencing, dumping dirt and planting seeds, we were done. No one was mad, no one complained and everyone was excited to see what would happen. I had to burst their bubbles. I informed them how much work lied ahead. They had to water, weed, transplant and watch over the seeds. They seemed ok with this…just wait…. Fast forward three months, each of my tweens took turns watering the garden. There were only a few complaints. I actually enjoyed tending it. And we have veggies! Our tomatoes, eggplants, and green peppers never made it past the transplant stage. They had a little accident induced by a child’s foot. The spinach and onions didn’t take. 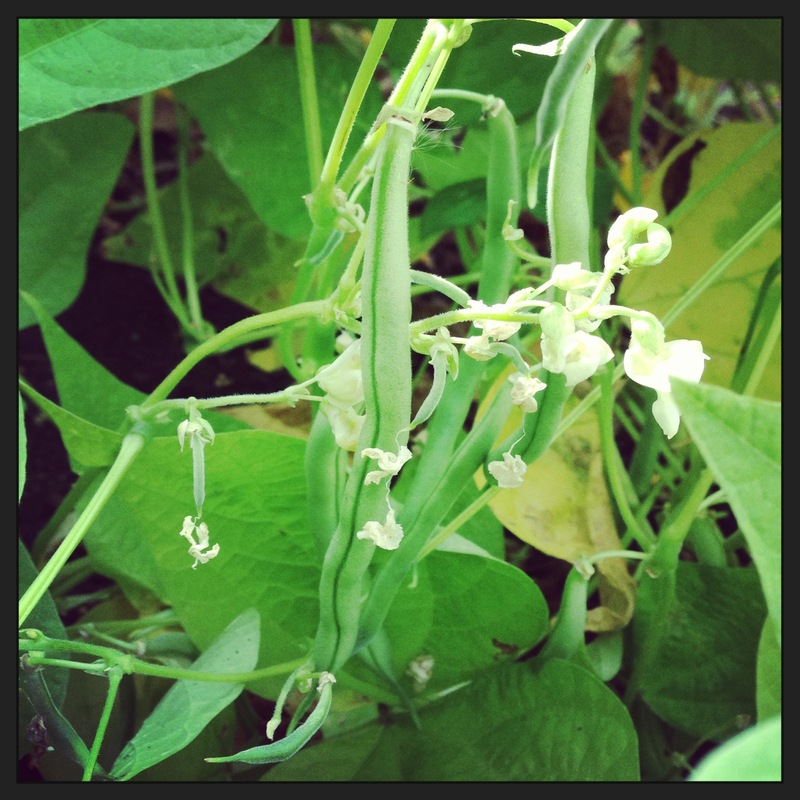 BUT, our cucumbers, green beans and lettuce have thrived and become a healthy part of our diet. We’re still patiently waiting on the carrots…stay tuned! And my entire attitude toward gardening has changed. It didn’t take as long as I thought it would. It didn’t take as much work as I thought it would. I actually enjoyed it. 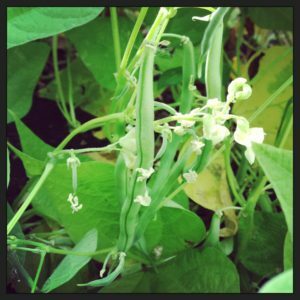 I found gardening to be great for releasing stress and getting outdoors. I’m back to actively composting. The tweens thoroughly enjoyed it and best of all, we accomplished something as a family. 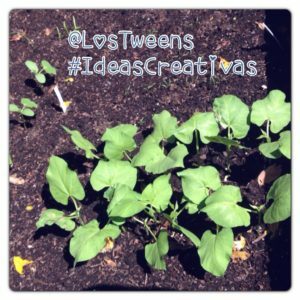 The Los Tweens & Lowe’s garden has been a great experience. I can’t wait to start planting again in the fall. Have you thought about building a garden? What’s holding you back? Just jump in! 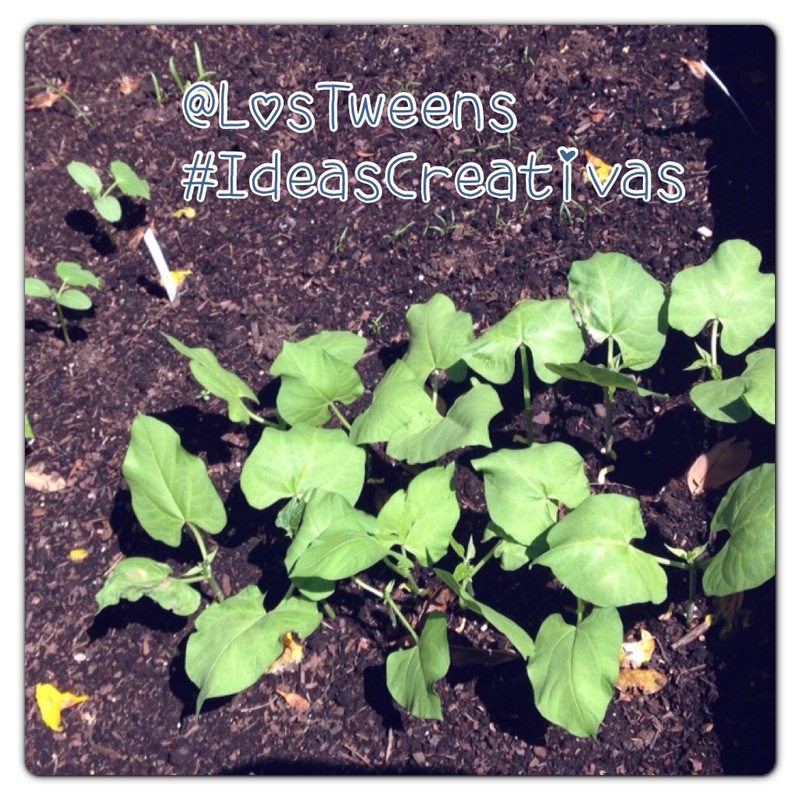 This entry was posted in Fitness and Health, Ideas and tagged #IdeasCreativas, Family, gardening, Lowes, Tweens. Bookmark the permalink.